If you enjoy getting random stuff at the lowest price, and maybe even free, then deal sites are for you. It can make the holiday season a whole load easier – or just help you replace those items that you always lose and always need.Slickdeals is one of the largest communities to offer deals and coupons in return for ratings and reviews. The members of the site share deals, along with coupons, covering a huge variety of products. Today we are going to introduce 12 best sites like Slickdeals, to help you find the free merchandise available to consumers. Cashabckbase.com changes its deals every day. Every 24 hours there are more deals offered, with 100% discount on Amazon products… which is commonly known as free. It is not that these products are cheap and cheerful and without much practical application – quite the opposite – these are high-quality, high-value goods. Dealnews is another deal finder site like Slickdeals. Called “My bible for deals” by one user, this site offers a portal through which you can sift through the offers, finding those that actually represent a great deal. This is a popular site that has been around for 20 years. It enjoys over 14 million visits from deal finders each month – which is positive proof that people return time and again. With over 400 deals every day in the week – it is likely that you will always find something that you need – or just want. The site promises to only list the lowest priced item available from the most reputable companies. This means that customers who register with the site can be guaranteed to receive amazing prices for all their purchases. Hip2Save was started by a young mother who had a love for the best things in her life. She enjoyed dressing her new baby in the latest kit and filling her home with the best gadgets. She realised she was running up a whole load of debt and decided she needed to be much more frugal. From these beginnings the blog was born – as she attempted to find the best deals – the bargains, the freebies, the coupons, and more started coming in. So, she decided to share these ideas with her readers too. Since the blog grew and gained followers, so the website emerged. The site is now one of the best deal finders out there – and with the promise of posting deals every 10 minutes – it is important you visit every day to get the best prices on the best products. Deals2buy is a site like Slickdeals. Deals2buy is particularly good at organising the deals for those of you short on time. There are listings of free deals and those that are expiring soon. If you are looking for the latest deals, then these are organised into categories – with the number of deals available in that category clearly signposted from the home page. This site is great on your mobile – so you can check it out when you are on the go too. In short, this site helps you find the newest and the hottest deals. Sometimes getting the deal is as easy as clicking download or they send you through to a coupon to print or show in the shop. The site acts as a collecting ground of all the best deals out there and encourages you to click through to the store where you can grab them – including all the best deals on Amazon. Founded in 2004, this site promises to provide real customers a place to share the deals, stories, vouchers and tips for getting the best deal. This is a site like Slickdeals in the sense that it is a community of people seeking to share the latest offers – including freebies. You can go to the site to benefit from these deals – grabbing a bargain. You can do this without worry, as the site promises to kick out any obvious self-promotion and spam marketing – instead offering its community a place where they can escape the marketing messages and ads that obscure the best deals in the UK. In 2010 Amazon bought Woot – and its close on 3 million registered users. Woot stands for Want One Of Those – and can also be used to replace Hurrah or Wow! So, all in all, this deal finder site is aiming itself at those of us that want to be amazed by the products on offer and at such great prices. The sites tagline is “One Day, One Deal” – this is because it originally offered one product per day of its stock until that product sold out. It would change at the same time each day – drawing you back time and time again. Now – if a product sells out quickly – it will be replaced with another product immediately – so, now you must go back multiple times a day to get the best deal. dealspotr.com is a little different to other deal finder sites – in that it promises to connect shoppers and brands – pretty much like all the other sites – but it also includes the influencers in the mix. It markets itself as “Like LinkedIn, but for shopping.” It also claims to be the “Wikipedia of deals”. The site has 70000 deal mental people from around the world who help to curate the best database of coupon codes and deal for other users. To get the best deals you just follow the best deal finders. By following these people, you will get the deals you are interested in straight to your feed. This is a site that offers coupons, deals and promotional codes – drawing all the best deals into one place – in short, a site like Slickdeals. Dealplus is a place where you can search, share, and comment on the deals on offer. It is a sharing of deals but also a place where you can share reviews. You only need to register with the site to start searching through thousands of deals and coupons posted each day by the community. 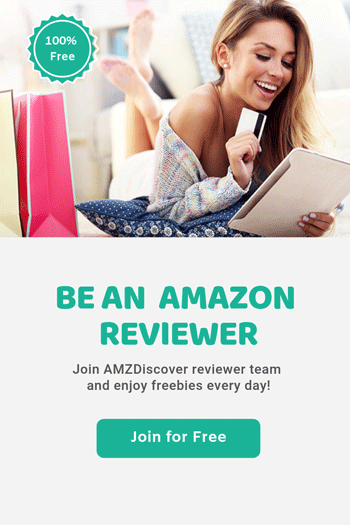 It is really easy to customize your view of the site – with the use of favorite deals, favorite members and there is an email you can subscribe to – just for your favorite stores. This site is huge – with over 7 million monthly visitors – so, it is likely this is the place the biggest brands and online stores will choose to post their best deals. If all this self-interest and hoarding of precious items at low prices is not for you – and you want to do a little good in the world – then, this is your site. This is a site like Slickdeals in that it collates all the best shopping deals on the internet – however, it then allows you to make a donation to a non-profit organisation or school of your choice – so they too can benefit from the savings you are making. When you sign up to the site you can pick a cause that you would like to benefit from your shopping habits. You can then invite people to join you in raising money for your cause by shopping the deals – and you can track the real-world impact you are having. This is a proper win-win situation for all involved. As the title of the site suggests, techbargains.com offers deals on technology – those gadgets for fun, home and work that are literally must-haves. The site offers the latest technology available – but also those items that you need every day. It’s not just about electronics – it might be the latest technology in trainers – or in bikes – or a thousand other product areas where innovation is key. The team behind TechBargains promise expertise in the best tech goods available – only offering deals on items that are going to wow you – whilst understand the world of deals enough to find you genuine savings. The site offers expert reviews on different products, as well as the coupons and exclusive offers we are actually searching for. Branded as “a leading digital savings destination”, Retailmenot maintains a collection of coupons and deals offered by retailers, restaurants and brands. The deals offered can be cashed in online and instore. The site is a means for sellers to encourage engagement and sales – it does not hide that it is a means of marketing for the retailer and brands. It is connected to over 70 000 brands internationally. The desire to create engagement and drive sales is also great for the consumer. The best deals are offered- including discount eGift cards and quick cash back offers. There is also an area dedicated to offering dine-out deals. This site is up front and simple in its trading model. The site receives a commission each time it sends one of its members to a website where there is a deal on offer. The brands and stores offer deals to encourage you to click through to their site. Then, when you make a purchase, you tell Ebates, at which point they share the commission with you. This means you get double savings – always a good one – as you save on the deal offered by the retailers – then you get cash back from Ebates when you send through the order details. All it takes to join Ebates is an email address and a password – and off you go on your savings and earnings journey.